This family of launch vehicles are demilitarized versions of the R-29-family of submarine launched balistic missiles. 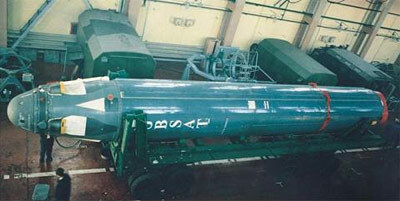 The Volna is based on the R-29R (SS-N-18) missile, which features an additional post-boost module. The basic Volna is only capable of suborbital missions. A Volna-O version featuring a small liquid-fueled kick stage developed by Babakin can launch modest orbital missions. The Shtil-1 is the basic missile with protective containers replacing the four reentry vehicles on the back side of the 3rd stage/PBV. Due to this posion, the payload volume is very restricted. On the first flight, only one container was used, but additional instrumentation was fitted to the 3rd stage. This version is submarine launched. The Shtil-2.1 features an extension of the aerodynamic fairing for front-mounted payload offering a larger payload volume, but retains the capability of submarine launch. The Shtil-2R offers an even larger new payload fairing, but needs to be launched from a land base, as it does not fit into the submarines launch tubes. The Shtil-3 is a projected version with a new upper stage and a full diameter payload fairing. This version is land launched or deployed from an airplane. The Russian Ministry of Defense in 2010 retracted the offer to make R-29 based missiles available as space launchers, effectively cancelling all future Volna and Shtil missions.